Into collectible trading card games? 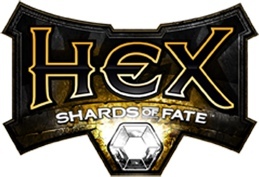 My friends over at Cryptozoic have just launched a Kickstarter for an amazing looking Mac/PC game they want to develop, HEX MMO Trading Card Game by Cryptozoic Entertainment — Kickstarter. You may know them from the World of Warcraft ccg, or the Penny Arcade game, or perhaps their game based on Big Bang Theory. In other words, they know card games. I just pledged. Head over and pledge anything, even a buck, if you want to see amazing new ccg style on your computer.